6900101 C10R YANMAR C10R Crawler carrier. Spare Parts Catalog. Service (workshop) Manual. Operator's Instruction Manual. 6900102 C10R-1 YANMAR C10R-1 Crawler carrier. Spare Parts Catalog. Service (workshop) Manual. Operator's Instruction Manual. 6900103 C10W YANMAR C10W Crawler carrier. Spare Parts Catalog. Service (workshop) Manual. Operator's Instruction Manual. 6900104 C120R YANMAR C120R Crawler carrier. Spare Parts Catalog. Service (workshop) Manual. Operator's Instruction Manual. 6900105 C12R YANMAR C12R Crawler carrier. Spare Parts Catalog. Service (workshop) Manual. Operator's Instruction Manual. 6900106 C12R-A YANMAR C12R-A Crawler carrier. Spare Parts Catalog. Service (workshop) Manual. Operator's Instruction Manual. 6900107 C12R-B YANMAR C12R-B Crawler carrier. Spare Parts Catalog. Service (workshop) Manual. Operator's Instruction Manual. 6900108 C12W YANMAR C12W Crawler carrier. Spare Parts Catalog. Service (workshop) Manual. Operator's Instruction Manual. 6900109 C20R YANMAR C20R Crawler carrier. Spare Parts Catalog. Service (workshop) Manual. Operator's Instruction Manual. 6900110 C20W YANMAR C20W Crawler carrier. Spare Parts Catalog. Service (workshop) Manual. Operator's Instruction Manual. 6900111 C25R YANMAR C25R Crawler carrier. Spare Parts Catalog. Service (workshop) Manual. Operator's Instruction Manual. 6900112 C25S YANMAR C25S Crawler carrier. Spare Parts Catalog. Service (workshop) Manual. Operator's Instruction Manual. 6900113 C25S-1 YANMAR C25S-1 Crawler carrier. Spare Parts Catalog. Service (workshop) Manual. Operator's Instruction Manual. 6900114 C25W YANMAR C25W Crawler carrier. Spare Parts Catalog. Service (workshop) Manual. Operator's Instruction Manual. 6900115 C30R YANMAR C30R Crawler carrier. Spare Parts Catalog. Service (workshop) Manual. Operator's Instruction Manual. 6900116 C30R-1 YANMAR C30R-1 Crawler carrier. Spare Parts Catalog. Service (workshop) Manual. Operator's Instruction Manual. 6900117 C30R-1K YANMAR C30R-1K Crawler carrier. Spare Parts Catalog. Service (workshop) Manual. Operator's Instruction Manual. 6900118 C30R-2 YANMAR C30R-2 Crawler carrier. Spare Parts Catalog. Service (workshop) Manual. Operator's Instruction Manual. 6900119 C30R-2A YANMAR C30R-2A Crawler carrier. Spare Parts Catalog. Service (workshop) Manual. Operator's Instruction Manual. 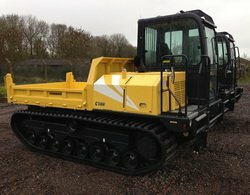 6900120 C30R-2B YANMAR C30R-2B Crawler carrier. Spare Parts Catalog. Service (workshop) Manual. Operator's Instruction Manual. 6900121 C30R-2K YANMAR C30R-2K Crawler carrier. Spare Parts Catalog. Service (workshop) Manual. Operator's Instruction Manual. 6900122 C30R-F YANMAR C30R-F Crawler carrier. Spare Parts Catalog. Service (workshop) Manual. Operator's Instruction Manual. 6900123 C30R-US YANMAR C30R-US Crawler carrier. Spare Parts Catalog. Service (workshop) Manual. Operator's Instruction Manual. 6900124 C30R-US-2B YANMAR C30R-US-2B Crawler carrier. Spare Parts Catalog. Service (workshop) Manual. Operator's Instruction Manual. 6900125 C50R YANMAR C50R Crawler carrier. Spare Parts Catalog. Service (workshop) Manual. Operator's Instruction Manual. 6900126 C50R-1 YANMAR C50R-1 Crawler carrier. Spare Parts Catalog. Service (workshop) Manual. Operator's Instruction Manual. 6900127 C50R-2 YANMAR C50R-2 Crawler carrier. Spare Parts Catalog. Service (workshop) Manual. Operator's Instruction Manual. 6900128 C50R-3 YANMAR C50R-3 Crawler carrier. Spare Parts Catalog. Service (workshop) Manual. Operator's Instruction Manual. 6900129 C50R-3A YANMAR C50R-3A Crawler carrier. Spare Parts Catalog. Service (workshop) Manual. Operator's Instruction Manual. 6900130 C50R-3B YANMAR C50R-3B Crawler carrier. Spare Parts Catalog. Service (workshop) Manual. Operator's Instruction Manual. 6900131 C50R-3C YANMAR C50R-3C Crawler carrier. Spare Parts Catalog. Service (workshop) Manual. Operator's Instruction Manual. 6900132 C60R-3 YANMAR C60R-3 Crawler carrier. Spare Parts Catalog. Service (workshop) Manual. Operator's Instruction Manual. 6900133 C60R-3A YANMAR C60R-3A Crawler carrier. Spare Parts Catalog. Service (workshop) Manual. Operator's Instruction Manual. 6900134 C6R YANMAR C6R Crawler carrier. Spare Parts Catalog. Service (workshop) Manual. Operator's Instruction Manual. 6900135 C80-2 YANMAR C80-2 Crawler carrier. Spare Parts Catalog. Service (workshop) Manual. Operator's Instruction Manual. 6900136 C80R-2 YANMAR C80R-2 Crawler carrier. Spare Parts Catalog. Service (workshop) Manual. Operator's Instruction Manual. 6900137 CD171S YANMAR CD171S Crawler carrier. Spare Parts Catalog. Service (workshop) Manual. Operator's Instruction Manual. 6900138 CD171SD YANMAR CD171SD Crawler carrier. Spare Parts Catalog. Service (workshop) Manual. Operator's Instruction Manual. 6900139 CD191D YANMAR CD191D Crawler carrier. Spare Parts Catalog. Service (workshop) Manual. Operator's Instruction Manual. 6900140 CD191S YANMAR CD191S Crawler carrier. Spare Parts Catalog. Service (workshop) Manual. Operator's Instruction Manual. 6900141 CD191SD YANMAR CD191SD Crawler carrier. Spare Parts Catalog. Service (workshop) Manual. Operator's Instruction Manual. 6900142 CDA191S YANMAR CDA191S Crawler carrier. Spare Parts Catalog. Service (workshop) Manual. Operator's Instruction Manual. 6900143 CDA191SD YANMAR CDA191SD Crawler carrier. Spare Parts Catalog. Service (workshop) Manual. Operator's Instruction Manual. 6900144 CG160 YANMAR CG160 Crawler carrier. Spare Parts Catalog. Service (workshop) Manual. Operator's Instruction Manual. 6900145 CG171S YANMAR CG171S Crawler carrier. Spare Parts Catalog. Service (workshop) Manual. Operator's Instruction Manual. 6900146 CG171SD YANMAR CG171SD Crawler carrier. Spare Parts Catalog. Service (workshop) Manual. Operator's Instruction Manual. 6900147 CG191S YANMAR CG191S Crawler carrier. Spare Parts Catalog. Service (workshop) Manual. Operator's Instruction Manual. 6900148 CG191SD YANMAR CG191SD Crawler carrier. Spare Parts Catalog. Service (workshop) Manual. Operator's Instruction Manual. 6900149 CG2D YANMAR CG2D Crawler carrier. Spare Parts Catalog. Service (workshop) Manual. Operator's Instruction Manual. 6900150 CG2H YANMAR CG2H Crawler carrier. Spare Parts Catalog. Service (workshop) Manual. Operator's Instruction Manual. 6900151 CG2LD YANMAR CG2LD Crawler carrier. Spare Parts Catalog. Service (workshop) Manual. Operator's Instruction Manual. 6900152 CG3-R YANMAR CG3-R Crawler carrier. Spare Parts Catalog. Service (workshop) Manual. Operator's Instruction Manual. 6900153 CG3D YANMAR CG3D Crawler carrier. Spare Parts Catalog. Service (workshop) Manual. Operator's Instruction Manual. 6900154 CG3D-HST YANMAR CG3D-HST Crawler carrier. Spare Parts Catalog. Service (workshop) Manual. Operator's Instruction Manual. 6900155 CG3D-PQ YANMAR CG3D-PQ Crawler carrier. Spare Parts Catalog. Service (workshop) Manual. Operator's Instruction Manual. 6900156 CG3H YANMAR CG3H Crawler carrier. Spare Parts Catalog. Service (workshop) Manual. Operator's Instruction Manual. 6900157 CG3H-HST YANMAR CG3H-HST Crawler carrier. Spare Parts Catalog. Service (workshop) Manual. Operator's Instruction Manual. 6900158 CG3LD YANMAR CG3LD Crawler carrier. Spare Parts Catalog. Service (workshop) Manual. Operator's Instruction Manual. 6900159 CG3LD-HST YANMAR CG3LD-HST Crawler carrier. Spare Parts Catalog. Service (workshop) Manual. Operator's Instruction Manual. 6900160 CG3LD-PQ YANMAR CG3LD-PQ Crawler carrier. Spare Parts Catalog. Service (workshop) Manual. Operator's Instruction Manual. 6900161 CMK300 YANMAR CMK300 Crawler carrier. Spare Parts Catalog. Service (workshop) Manual. Operator's Instruction Manual. 6900162 CMK400 YANMAR CMK400 Crawler carrier. Spare Parts Catalog. Service (workshop) Manual. Operator's Instruction Manual. 6900163 CR50-3, CR50-3A YANMAR CR50-3, CR50-3A Crawler carrier. Spare Parts Catalog. Service (workshop) Manual. Operator's Instruction Manual. 6900164 MCG100 YANMAR MCG100 Crawler carrier. Spare Parts Catalog. Service (workshop) Manual. Operator's Instruction Manual. 6900165 MCG111F YANMAR MCG111F Crawler carrier. Spare Parts Catalog. Service (workshop) Manual. Operator's Instruction Manual. 6900166 MCG111F-R YANMAR MCG111F-R Crawler carrier. Spare Parts Catalog. Service (workshop) Manual. Operator's Instruction Manual. 6900167 MCG1200F YANMAR MCG1200F Crawler carrier. Spare Parts Catalog. Service (workshop) Manual. Operator's Instruction Manual. 6900168 MCG1200F-PQ YANMAR MCG1200F-PQ Crawler carrier. Spare Parts Catalog. Service (workshop) Manual. Operator's Instruction Manual. 6900169 MCG1200FLD YANMAR MCG1200FLD Crawler carrier. Spare Parts Catalog. Service (workshop) Manual. Operator's Instruction Manual. 6900170 MCG131D YANMAR MCG131D Crawler carrier. Spare Parts Catalog. Service (workshop) Manual. Operator's Instruction Manual. 6900171 MCG131H YANMAR MCG131H Crawler carrier. Spare Parts Catalog. Service (workshop) Manual. Operator's Instruction Manual. 6900172 MCG3250 YANMAR MCG3250 Crawler carrier. Spare Parts Catalog. Service (workshop) Manual. Operator's Instruction Manual. 6900173 MCG5350 YANMAR MCG5350 Crawler carrier. Spare Parts Catalog. Service (workshop) Manual. Operator's Instruction Manual. 6900174 MCG8 YANMAR MCG8 Crawler carrier. Spare Parts Catalog. Service (workshop) Manual. Operator's Instruction Manual. 6900175 MCG8-Q YANMAR MCG8-Q Crawler carrier. Spare Parts Catalog. Service (workshop) Manual. Operator's Instruction Manual. 6900176 MCG900 YANMAR MCG900 Crawler carrier. Spare Parts Catalog. Service (workshop) Manual. Operator's Instruction Manual. 6900177 MCG900-2 YANMAR MCG900-2 Crawler carrier. Spare Parts Catalog. Service (workshop) Manual. Operator's Instruction Manual. 6900178 MCG900D YANMAR MCG900D Crawler carrier. Spare Parts Catalog. Service (workshop) Manual. Operator's Instruction Manual. 6900179 MCG900D-BN YANMAR MCG900D-BN Crawler carrier. Spare Parts Catalog. Service (workshop) Manual. Operator's Instruction Manual. 6900180 MCG900D-S YANMAR MCG900D-S Crawler carrier. Spare Parts Catalog. Service (workshop) Manual. Operator's Instruction Manual. 6900181 MCG91 YANMAR MCG91 Crawler carrier. Spare Parts Catalog. Service (workshop) Manual. Operator's Instruction Manual. 6900182 MCG91(-PQ(-R) YANMAR MCG91(-PQ(-R) Crawler carrier. Spare Parts Catalog. Service (workshop) Manual. Operator's Instruction Manual. 6900183 MCG91-R YANMAR MCG91-R Crawler carrier. Spare Parts Catalog. Service (workshop) Manual. Operator's Instruction Manual. 6900184 MCG95 YANMAR MCG95 Crawler carrier. Spare Parts Catalog. Service (workshop) Manual. Operator's Instruction Manual. 6900185 MCG95(-PQ(MC) YANMAR MCG95(-PQ(MC) Crawler carrier. Spare Parts Catalog. Service (workshop) Manual. Operator's Instruction Manual. 6900186 MCG95(-PQ(R) YANMAR MCG95(-PQ(R) Crawler carrier. Spare Parts Catalog. Service (workshop) Manual. Operator's Instruction Manual. 6900187 MCG95-R YANMAR MCG95-R Crawler carrier. Spare Parts Catalog. Service (workshop) Manual. Operator's Instruction Manual. 6900188 MCG950 YANMAR MCG950 Crawler carrier. Spare Parts Catalog. Service (workshop) Manual. Operator's Instruction Manual. 6900189 MCG950-2 YANMAR MCG950-2 Crawler carrier. Spare Parts Catalog. Service (workshop) Manual. Operator's Instruction Manual. 6900190 MCG950-PTO YANMAR MCG950-PTO Crawler carrier. Spare Parts Catalog. Service (workshop) Manual. Operator's Instruction Manual. 6900191 MCG950D-G YANMAR MCG950D-G Crawler carrier. Spare Parts Catalog. Service (workshop) Manual. Operator's Instruction Manual. 6900192 MCG950D-S YANMAR MCG950D-S Crawler carrier. Spare Parts Catalog. Service (workshop) Manual. Operator's Instruction Manual. 6900193 MCG950D-VP YANMAR MCG950D-VP Crawler carrier. Spare Parts Catalog. Service (workshop) Manual. Operator's Instruction Manual. 6900194 MCG95N YANMAR MCG95N Crawler carrier. Spare Parts Catalog. Service (workshop) Manual. Operator's Instruction Manual. 6900195 MCG95N-EHST YANMAR MCG95N-EHST Crawler carrier. Spare Parts Catalog. Service (workshop) Manual. Operator's Instruction Manual. 6900196 MCG95N-HST YANMAR MCG95N-HST Crawler carrier. Spare Parts Catalog. Service (workshop) Manual. Operator's Instruction Manual. 6900197 MCG95NLD YANMAR MCG95NLD Crawler carrier. Spare Parts Catalog. Service (workshop) Manual. Operator's Instruction Manual. 6900198 MCG95NLD-HST YANMAR MCG95NLD-HST Crawler carrier. Spare Parts Catalog. Service (workshop) Manual. Operator's Instruction Manual. 6900199 MCG95NLDEHST YANMAR MCG95NLDEHST Crawler carrier. Spare Parts Catalog. Service (workshop) Manual. Operator's Instruction Manual. 6900200 YFW25R YANMAR YFW25R Crawler carrier. Spare Parts Catalog. Service (workshop) Manual. Operator's Instruction Manual. 6900201 YFW5D YANMAR YFW5D Crawler carrier. Spare Parts Catalog. Service (workshop) Manual. Operator's Instruction Manual. 6900202 T3250 YANMAR T3250 Crawler carrier. Spare Parts Catalog. Service (workshop) Manual. Operator's Instruction Manual. 6900203 T3300 YANMAR T3300 Crawler carrier. Spare Parts Catalog. Service (workshop) Manual. Operator's Instruction Manual. 6900204 T5400 YANMAR T5400 Crawler carrier. Spare Parts Catalog. Service (workshop) Manual. Operator's Instruction Manual. 6900205 T6350 YANMAR T6350 Crawler carrier. Spare Parts Catalog. Service (workshop) Manual. Operator's Instruction Manual. 6900206 YFW25D YANMAR YFW25D Crawler carrier. Spare Parts Catalog. Service (workshop) Manual. Operator's Instruction Manual. 6900208 MD3 YANMAR MD3 Multi dozer. Spare Parts Catalog. Service (workshop) Manual. Operator's Instruction Manual. 6900209 MD3-FLBH YANMAR MD3-FLBH Multi dozer. Spare Parts Catalog. Service (workshop) Manual. Operator's Instruction Manual. 6900211 YFW20DW YANMAR YFW20DW Wheel carrier. Spare Parts Catalog. Service (workshop) Manual. Operator's Instruction Manual.